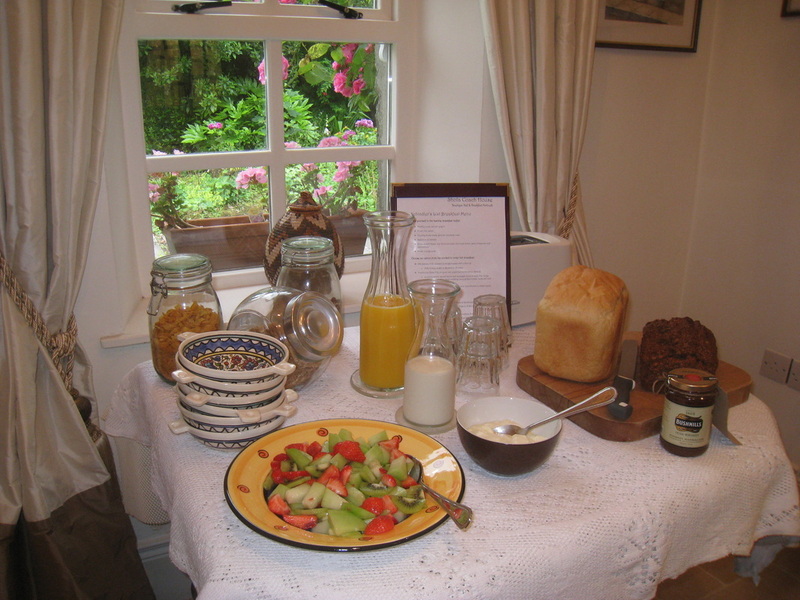 Breakfast is served daily between 8am-9.30am at a shared/communal table in the dining room on the ground floor (other times by prior arrangement). 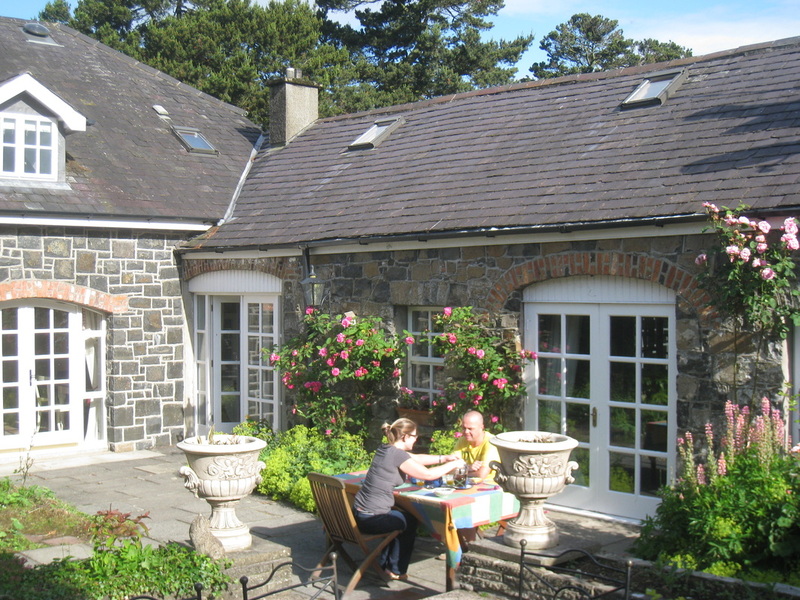 ​The dining room opens on to the courtyard via a set of French doors, and should the weather allow we can serve breakfast on the terrace outside if requested. We make every effort to source local, free range and organic or Fair Trade produce where possible, and base our menu around fresh, seasonal ingredients. We will do our best to cater for any special dietary requirements if advance notice is provided. We are proud to have had Shola Coach House Bed & Breakfast awarded with a score of 5 (very good) in the Food Hygiene Rating Scheme by the Food Standards Agency (food.gov.uk/ratings) and Coleraine Borough Council. Breakfast on the terrace at Shola. For some of our personal recommendations on where to eat out in our local area, go to our Eating Out page.